Investors also remained hopeful for a U.S.-China trade deal after Xinhua news agency reported the U.S. and China have made further “concrete progress” on the text of the trade agreement between the two sides. The benchmark Shanghai Composite index soared 74.67 points or 2.5 percent to 3,096.42, while Hong Kong’s Hang Seng Index jumped 396.75 points or 1.4 percent to 29,409.01. 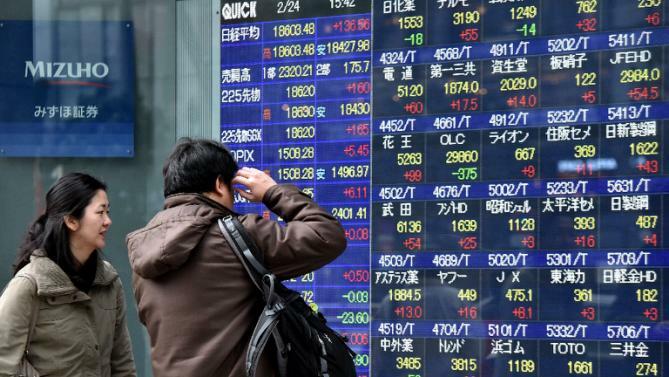 Japanese shares moved higher despite weak February export data. The country’s exports fell for a third month in February amid waning external demand, putting pressure on the Bank of Japan to offer more stimulus. Bubs Australia soared 4.8 percent on news it will expand its range of children’s snacks by launching eight new organic-labeled snacks.